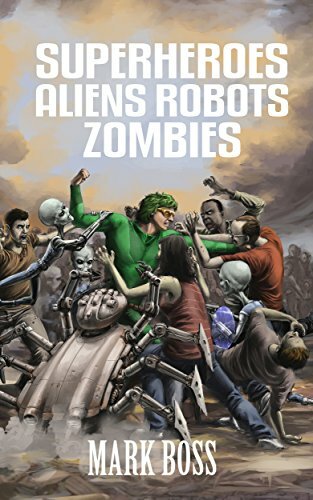 about this book: Superheroes Aliens Robots Zombies combines all the things I love into a novel that is epic fun. 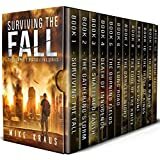 If you enjoy science fiction, comic books, the X Files, and anything with zombies, you will love this. This is the first book in a trilogy that I released all at one time, so that readers won't have to wait to find out what happens next. The second book is Robot Revolution, and the story concludes with Alien Invasion. All three are available in ebook and paperback. The story carries you all around the world, from an underwater laboratory in the Atlantic Ocean, to a research station in Antarctica, to a secret factory in the Congo jungle. 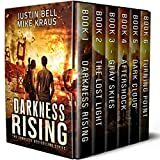 Instead of facing a single apocalyptic threat like a zombie outbreak, humanity must also deal with an alien invasion, and the rise of an evil artificial intelligence and his robot warriors. You'll see all sorts of people step forward to save the Earth--scientists, soldiers, police officers, superheroes, and courageous, ordinary people.